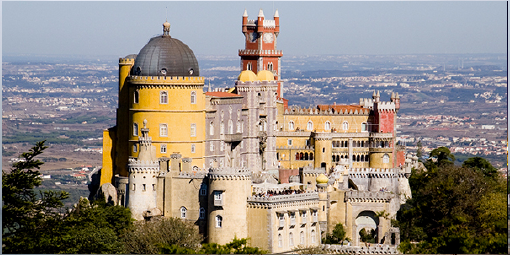 Lisbon, the city of the seven hills, is one of the oldest cities in the world. Julius Caesar made it a municipium called Felicitas Julia, adding to the name Olissipo. Lisbon was called many things over the centuries like Luxbona, Lixbuna or Ulixbone (hence the LX shorthand still used today). The city was ruled by a series of Germanic tribes from the fifth century and it was captured by the Moors in the eighth century. In 1147, the Crusaders under Afonso Henriques reconquered the city for the Christians and since then it has been a major political, economic, and cultural centre of Portugal. 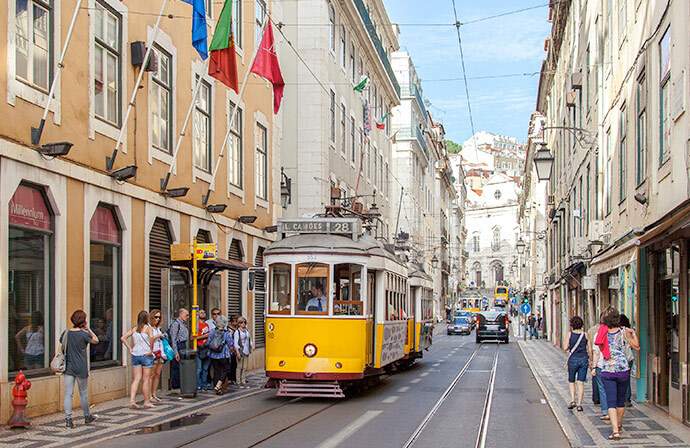 Walking is the best way to wander around in Lisbon, cross its narrow streets, enjoy the views on the top of its hills and mingle with the population. For longer distances, public transportation is fast and cheap. And you can't miss the chance to ride one of the famous yellow trams. The best way to roam about the city is to get a ticket on the subway. It's valid for buses too and you can even hop-on and off with the same ticket for one hour. Each ticket is €1,45 or you can get an unlimited daily ticket for €6,15. Taxis are fairly cheap and will get you around the city for around €5 to €10 a ride. Please be aware that they can charge you extra for carrying big luggage or if you called them on the phone (+351 218119000). You can waive those fees by using the MyTaxi app. Other networks available are Uber, Cabify and Chofer. For car sharing you can use DriveNow and Citydrive - or if you prefer scooters, you can use eCooltra. Bike sharing (including electric bikes) is also available through Gira stations. If you're planning to see some museums and other attractions, then your best option is a Lisboa Card, which not only includes city-wide transportation but also free admission to more than 80 museums and attractions. They cost €19 for 24h, €32 for 48h and €40 for 72h. You can even buy them online. If you are a fan of Hop On Hop Off service, you can get a ride from double decker buses from Yellow Bus or Cityrama for about €25 per day. You can get a SIM card from a lot of shops in Lisbon (even at the Airport). The main networks are Vodafone, NOS and Meo. A data sim card will cost you about €15 on Vodafone and NOS for unlimited data and for 15GB on Meo. There is free unlocked Wi-Fi at the Venue (Hotspot: UXLX). Other than that, there are two main networks of Wi-Fi, the Meo Wi-Fi which has many roaming agreements with other providers, so you can probably use it, and NOS Wi-Fi which covers pretty much the entire city. The shopping centre near the venue and several restaurants and coffee shops offer free Wi-Fi too. Just look for the free Wi-Fi sign for instructions. Portugal uses standard European electric plugs (the Schuko kind). They’re 220V and use two round pins. Usually laptop chargers have a built-in voltage adapter. For your convenience just bring one adapter and a multiple power strip from your country. We provide abundant power strips through the venue to charge all your gear. Portugal's standard VAT rate on most goods is 23%. Prices everywhere are required by law to include all taxes already. If you live outside the EU, you may be entitled to claim back what you paid for VAT, giving you substancial savings. All you have to do is follow the instructions for our Tax Free Shopping Scheme. Lisbon is one of the safest cities in Europe, but we do have pick-pockets. As in any city, just be careful carrying your stuff in public transportation. Public healthcare is free if you come from within the EU, but you'll have to have your EU Health Card. Private healthcare, in the venue’s neighbourhood you have two options: CUF Descobertas and Clínica Lusíadas. The Bairro Alto is one of the most characterful and attractive neighbourhoods in Lisbon. Small restaurants, Fado houses, bars, pubs and Cafés as well as some unusual, expensive design shops and art galleries are all around the narrow streets, lanes and alleys. Bairro Alto is the heart of Lisbon's youth culture and nightlife. If you like to do some shopping, there are loads of small shops run by artists and designers, offering unique products. Alfama is Lisbon's oldest district, spreading on the slope between the castle and the river. It has many important historical attractions, with many Fado bars and restaurants. 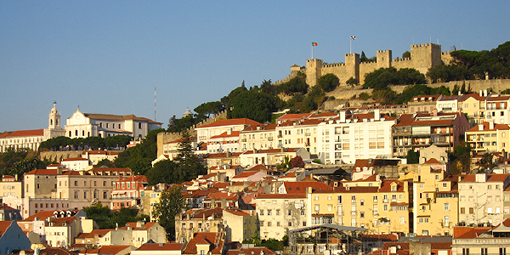 Overlooking Alfama is the mediaeval Castle of São Jorge, offering the best views of the city. In the slopes of Alfama tyou’ll find several terraces (miradouros) from which to see the city, such as the Miradouro de Santa Luzia, near the church of the same name and the Miradouro das Portas do Sol. Among the churches of Alfama are Lisbon's Cathedral - Sé, the oldest of the city, the Convento da Graça, the Monastery of São Vicente de Fora, and the baroque Church of Santa Engrácia, now the National Pantheon. Belém is famous as the place from which many of the great Portuguese explorers set off on their voyages of discovery. In particular, it is the place from which Vasco da Gama departed for India in 1497. 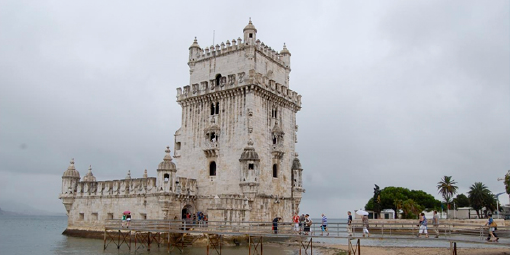 Belém's most impressive monuments are Torre de Belém and the Mosteiro dos Jerónimos. Located in the wings of the monastery are the National Archaeological Museum and the Maritime Museum. Belém's most notable modern features are the Padrão dos Descobrimentos and the Centro Cultural de Belém, an Arts complex, containing the Modern Art Museum Colecção Berardo. And you definitely can't miss the 1837's pastry shop, Antiga Confeitaria de Belém, where you can try the world famous, delicious custard tarts "Pasteis de Belém". Parque das Nações is the area where our Venue is located. It was the site of the 1998 Universal Exhibition, which led to the urban development of this once industrial area. Impressive landmarks in this area are the Oriente Train Station, by Santiago Calatrava, and the Vasco da Gama bridge, the longest bridge in Europe (14km long!). Places to visit in this area are the Oceanarium, the Casino, the Museu do Conhecimento (Science Museum). For an overview of the area, don't miss a ride on the cable cars. The area os also notable as a birdwatching spot further north, near the mouth of the Trancão River. A must see in the surrounding area of Lisbon is the village of Sintra, considered one of the most beautiful villages in the world. Its 19th century Romantic architecture is a UNESCO World Heritage Site. The train ride takes about 40 minutes from the Oriente train station right next to the Venue. Sintra's main attractions include the fairytale Palacio da Pena and the Castle of the Moors, with a breathtaking view of the Sintra-Cascais Natural Park, the National Palace and the Quinta da Regaleira. Another beautiful sight is the former fishing village of Cascais, nowadays a popular vacation spot. Cascais can be reached by train from Cais do Sodré station. You can visit the ruins of the Castle, the Sea Museum, as well as parks and the charming cobbled streets of the historic centre. Cascais is surrounded by popular beaches too, if you want to enjoy the sun. There are two main hotspots to enjoy the crazy Lisbon nightlife: Cais do Sodré and Bairro Alto. If you’re into roaming bars and mingling in the streets of old town, Bairro Alto is for you. It gets incredibly busy and messy on weekends but it’s still a lot of fun. However, Cais do Sodré - Santos is where all the action is these days, with a string of bars surrounding Pink Street. If you're into dancing, you can’t go wrong with Lust in Rio, Rive Rouge or Lux Frágil (this one near Santa Apolónia). If you want to experience genuine Fado, the city's traditional folk music, then go to Alfama. You'll find a lot of Fado houses near the top of the hill. Near the Venue you'll also find some nice bars near the river. Or if you're into it, why not visit the nearby Casino? Don't have much time to get to know the city? Then the best way is to use the Sightseeing buses and trams. They run through all the sights in Lisbon and one of them even goes to Sintra for half a day. If you have a whole half-day, why not go on a walking tour of the old town? 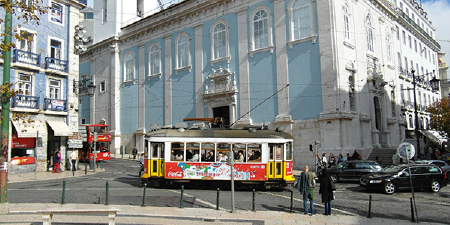 There's also a tram circuit which will drive you to the main hills of Lisbon and departs from Terreiro do Paço. 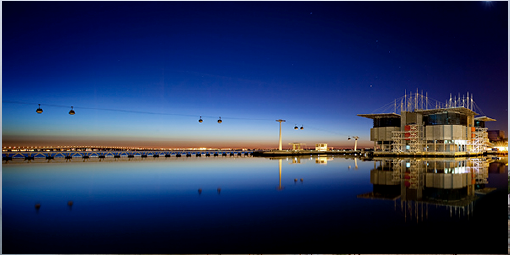 Alternatively you can also go on a cruise in the river Tagus, departing from Cais do Sodré. One of the boats there is a floating work of art by Joana Vasconcelos.